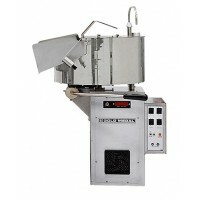 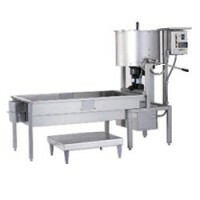 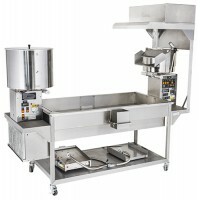 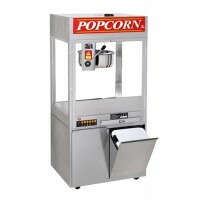 Pop Maxx Kettle Corn Popcorn Popper with 12/14 ounce E-Z Kleen stainless steel kettle, twin arm suspension, heated corn deck and welded all stainless steel cabinet with removable glass. 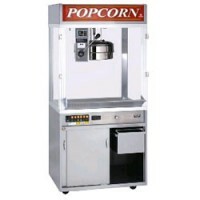 Equipped with one (1) 50 Watt light and exhaust fan with cleanable filter. 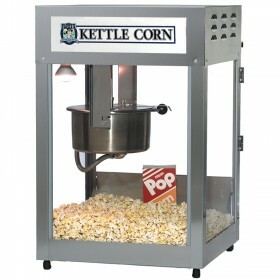 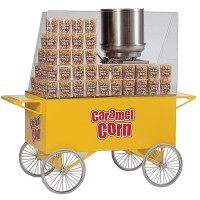 Comes with a non-illuminated kettle corn sign. 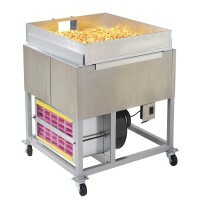 Now features UNIMAXX for maximum popcorn machine performance with the lowest possible energy consumption, available exclusively from Gold Medal. 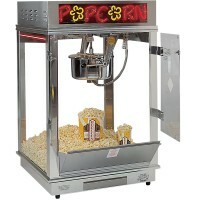 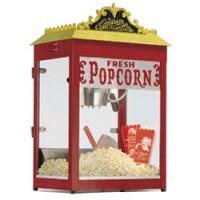 Improved design allows this popcorn machine to be plugged into a standard 15 AMP outlet. 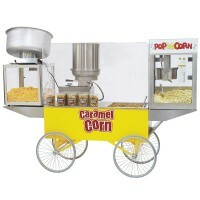 Dimensions: 20"W x 20"D x 32"H.
Shipping Dimensions: 30"D x 29"W x 39"H 19.6 Cu. Ft.